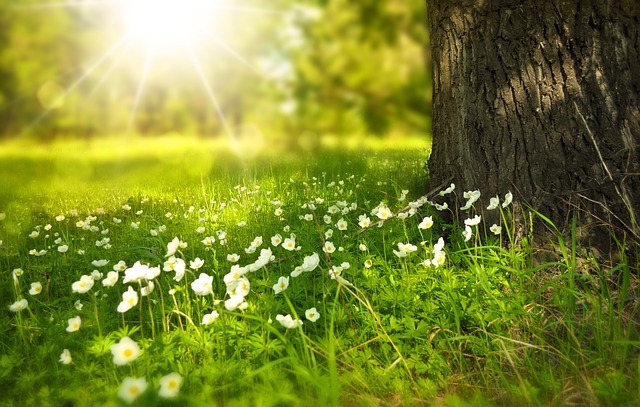 In this post, we review what you should do to get your car ready for spring so it is running at it’s best and protect it from future damage. When the ice and snow have finally melted (FINALLY!) then it is time to get your care ready for spring. The weather is going to change, the long winter is over, and your car needs some special care to run at it’s best. Spring cleaning is an important tradition for your home, but it’s also good for your car too. It’s part of an important process getting your car ready for spring and summer that can help keep your car running at it’s best later on. You can start your spring cleaning by making sure your car gets a good wash to remove all that salt from the winter. It’s always good for your car to stay clean but that winter salt and grime can really build up on the underside of your vehicle and contribute to rusting and damaging your car. 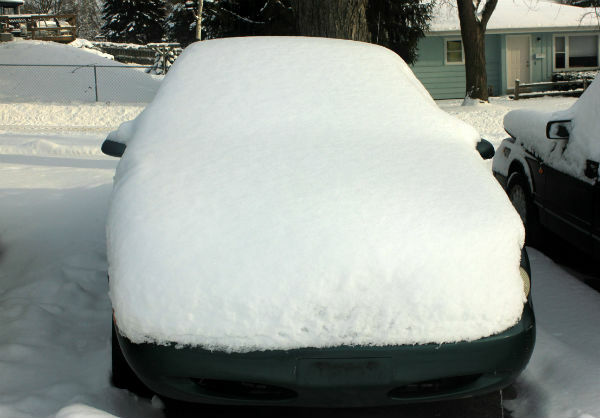 Here are the DMV’s recommendations to keep your car clean from salt. We know that spring means plenty of rain. Are your car’s wiper blades ready to keep you safe? When was the lasts time you changed your wiper blades? They should be changed every year, and sometimes even twice a year. 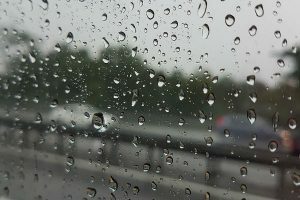 Make sure your wiper blades are ready to protect you during harsh rainy conditions in the spring and summer. Rough winter roads and weather can really take a toll on your car’s brakes. They have to deal with extreme cold, ice and salt all winter long. This can start to wear them out and make them less effective. Take a close listen to see if your brakes are sounding a little noisier than they did last summer. If they’re starting to sound a little scratchy, it’s time to get them checked. Checking your alignment is simple to do yourself. You can check alignment by carefully watching to see how your car veers to one side or the other. Center the alignment while your driving at a moderate speed, then watch to see if it veers out of the center and to one side. Hitting a pothole in the center can cause your alignment to become crooked. Getting your alignment fixed can not only make your car safer but can keep your tires from wearing out sooner. Make sure to check your tire pressure. The extreme temperatures of winter can deflate your tires and you may not realize that they are running low on air. Make sure they are inflated to the correct pressure so that you can drive safely and get the best possible gas mileage. If you are someone who puts on snow tires for the winter, then it’s time to swap them out for your all-season tires. They will wear down more quickly if you drive them in the summer. 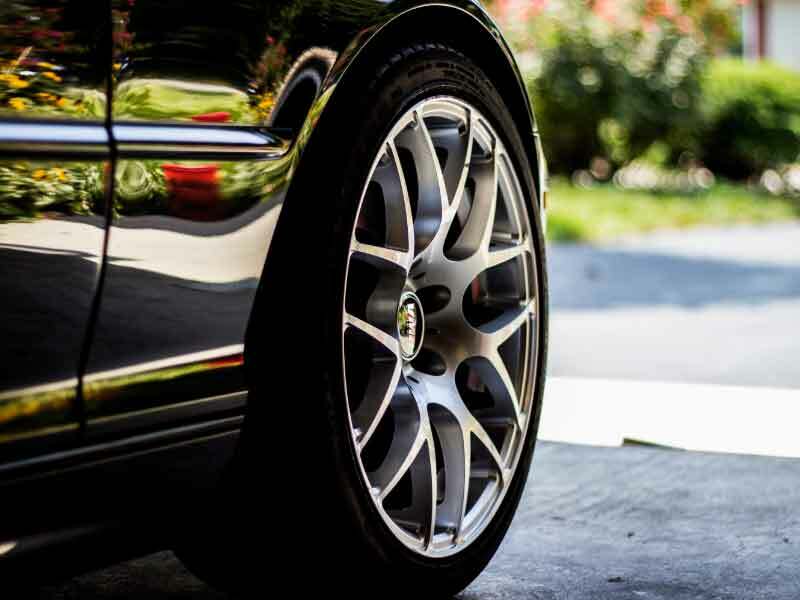 Check your tires for worn tread and make sure to replace your tires if it has become too worn. Making sure your car’s fluids are all topped off is an important part of getting your car ready for spring. Make sure to check your engine coolant so it is at the right level and helps maintain your car’s engine temperature at the proper level. Check your windshield wiper fluid, because it tends to get used up during the messy winter conditions. And while everything is being checked, don’t forget to check your brake fluid and engine oil too. They need to be topped off so that your car isn’t damaged by being too low. 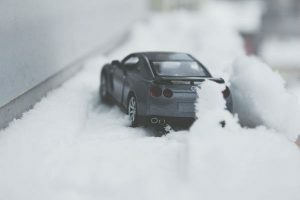 In this post, we answer a question that has become more common recently: Do I need to warm up my car in winter? For many people, warming up the car first before driving on a cold day is just common sense. It’s just what you do in winter. It’s what your parents told you to do when you got your first car. It’s what you’ve always done. However, it turns out that this “common sense” may not be so sensible after all. Both the Car Care Council and the Environmental Protection Agency advise against warming up your car and say it is unnecessary. “Unless you are trying to defrost the windshield or warm the interior of your car, idling is not required for today’s vehicles,” said Rich White, executive director, Car Care Council. Warming up your car before driving may have been good advice at one time, but in today’s modern cars, it is no longer necessary. Almost all cars built before 1995 used a carburetor, which is the device in your vehicle that combines air and fuel. Old cars with carburetors needed warming up on a cold day. If not, the carburetor might not be able to get the right mix of air and fuel in the engine, causing the engine to stall. At the beginning of the 1980s, the auto industry started changing over to the electronic fuel injection method, and by the 1990s it was widely adopted, eliminating the need for a carburetor. The change over to fuel injection made the problem of warming up the car before driving unnecessary because the fuel injection sensors monitor and adjust to temperature conditions. This means warming up your car hasn’t actually been a necessity for your vehicle for over 30 years. Still, this old practice still remains and is still even passed on as advice to people all the time, but it is no longer valid. Low angle view to car tires. If your car is not starting up on a cold day, it is likely because of a dad battery, frozen fuel line or a clogged injector. Warming up your car in winter has no benefit to your car. Experts say that you should warm up the car no more than 30 seconds before you start driving in winter. “The engine will warm up faster being driven,” the EPA according to the EPA. What does warming up your vehicle do? It wastes fuel, gives off greenhouse gas emissions and other pollution. It does nothing for your engine. If your windshield needs defrosting, by all means, crank up the heat and defrost your windows before driving. But if you’re starting your car five minutes early because you think it’s good for your engine or car, you can stop. Probst Collision is the top auto body repair shop in New Lenox, IL. We provide collision repair, dent removal, mechanical repair, airbag replacement, and auto body painting in the local area to customers from New Lenox, Joliet, Mokena, Frankfort, Manhattan, and other southwest Chicagoland cities. Contact us or get an online estimate. The NHSTA has issued a consumer advisory to warn the public about the threat of odometer fraud. Estimates from the NHSTA say that more than 450,000 vehicles per year are sold with false odometer readings. That’s a lot of fraud! With numbers that large, car buyers need to be aware so they can take steps to protect themselves. 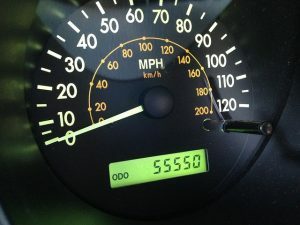 In this post, we review steps you can take to help protect yourself from odometer fraud during the car buying process. With hundreds of thousands of vehicles in the United States having potentially fraudulent odometer readings, you need to protect yourself when buying a car. 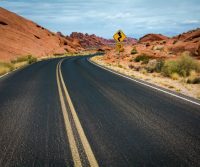 In September 2018, a father and son team from Mississippi plead guilty to a large scale odometer rollback scheme. They were buying large numbers of high mileage vehicles from various sources and altering the odometers to show a lower mileage. They also created fake paperwork to secure new titles showing the false lower mileage on the vehicles, so they could then resell them to individuals and auto dealerships at inflated prices. This is not the first case like this. There is both large and small odometer fraud happening every day. Knowing the lifetime mileage of a car is a good indicator of how many miles it may have left. The sale price of a used car is heavily influenced by the number of miles. Buying a car with a rolled-back odometer likely means paying more than it is worth. Related post: What is my car worth? Not only will a vehicle with its mileage reduced sell for an inflated price, but it will also deceive you about the potential durability and safety of the vehicle. You are both overpaying and increasing the chances you will have to spend more money on upkeep and repairs. A car with the odometer rolled back is a rip-off worth protecting yourself from. Digital odometers can be reprogrammed to display a lower or false mileage. Compare the mileage on the odometer with the mileage indicated on the vehicle’s maintenance or inspection records. Also, search for oil change and maintenance stickers on windows or door frames, in the glove box or under the hood. Look at the wear and tear on the vehicle—especially the gas, brake, and clutch pedals—to be sure it seems consistent with and appropriate for the number of miles displayed on the odometer. Request a vehicle history report to check for odometer discrepancies in the vehicle’s history. If the seller does not have a vehicle history report, use the car’s VIN to order a vehicle history report online. Another effective way to prevent odometer fraud is to purchase a CARFAX Vehicle History Report for any used car you are seriously considering buying. Some used car dealers even offer them for free as a service to their customers. It costs $40 for a CARFAX report or $60 for three reports if you are looking at multiple vehicles. Good luck with your search for a used vehicle! We can help inspect any car you’re interested in purchasing. To report odometer fraud to the NHTSA call 800-424-9393 or 888-327-4236. You can also file a complaint online at NHTSA.gov/Equipment/Odometer-Fraud. 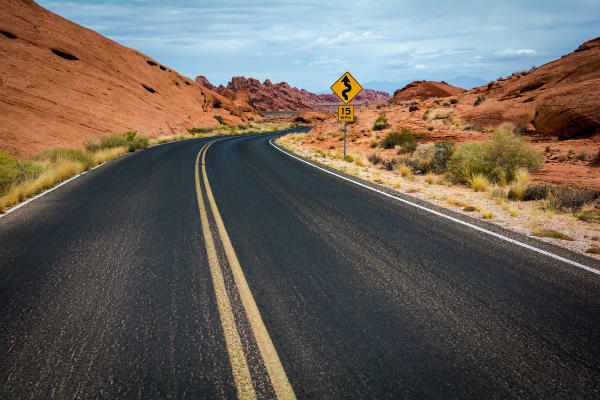 With summer road trip season about to begin, the car safety blog Carwise has released a list of summer driving tips to help keep you, your family and vehicle safe for your summer vacation. It won’t surprise you to hear that more Americans travel during the summer months than any other time of the year. According to the National Highway Traffic Safety Administration (NHTSA), nearly 90% of families will use their car to go on a trip, even if it’s only for a weekend. All these vehicles on the road mean that there are more opportunities for car accidents to occur. Besides busier roads with more cars, there will be more road construction during the summer as well. Extreme heat and rain can also increase the chance of accidents. You owe it to yourself to take a few extra steps to help ensure you have a safe trip. Here are some safe summer driving suggestions originally published by Carwise. The last thing you need while transporting your family cross-country is to get stranded alongside the road in the blistering heat. Instead, make sure that your car is as road-ready as possible. If you are going to be traveling many miles across sparsely-inhabited areas, like a desert, it’s also not a bad idea to pack some non-perishable food items and warm blankets. Any parent who’s gone on a summer car vacation with kids knows that Johnny and Susie oftentimes end up fighting in the back seat. Insurance industry studies have found that kids and loose pets can be up to 12X more distracting to a driver than a cellphone. To improve those odds, make sure that your family pets are secure in the vehicle before setting out, and that the kids are comfortably spaced about inside the interior. Bring along plenty of entertainment items for them like books, games, IPads, movies, and music. And don’t forget to pack lots of healthy snacks and drinks for your family members, including the non-human ones! When the average family goes on a driving vacation their vehicle is usually stuffed full of personal items, and oftentimes cars get packed in a hurry. Take time to make sure that the weight is distributed evenly, and that the driver has a clean line-of-sight all around the vehicle. If you are placing bicycles, kayaks, or other “toys” on the roof rack, know how high those items stick up if you encounter low bridges or tree limbs, along with the weight limit of the rack itself. It seems that most men are programmed with the notion that they have to do most of the vacation driving. Unfortunately, they get fatigued like everyone else, and when that happens the likelihood of an accident goes way up as reaction times and concentration suffer. On long trips when there’s only one driver in the vehicle, it’s advisable to stop at a rest area and allow them to take a stretch break every 2 to 3 hours. If other drivers are available, everyone should take turns behind the wheel while others nap or simply relax for a while. A fresh driver is a safer driver no matter how you slice it! Paintless dent repair is a method of removing minor dents from the body of a car or truck to return it to its original condition without major work or expense of repainting. It is not available on all types of dents to an auto, only minor creases, dents, and dings where the paint is not chipped or scratched. Some people have the ability to do this work at home themselves if they have the right tools. 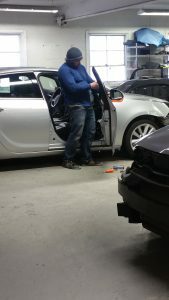 It’s recommended for most people that you instead have an auto body repair shop do the work for you instead. They can do it quickly, affordably, and make sure the job is done right. Assess the dent – Examine the dent to see if it is possible to remove with paintless dent removal (PDR). How big is the dent? Can you get to it? Gain entry to the damage – To remove most dents, you will need to be able to gain access to the back side of the dent. This may require removing exterior or interior panels in order to get a path to it. Get the best view of the dent – Trained mechanics use special lights to get a good look at the dent. The light will reveal the full damage on the inside of the panel and show what needs to be pushed out. Apply slow pressure to work out the dent – Once you have accessed the dent and have a good view, then you can use specialized tools to slowly “massage” the exterior back to its original position. When dents are removed using PDR, the original factory finish is preserved and there is no need for grinding the paint off, using Bondo, primers, or sealers. This makes it simpler than conventional body repair work and environment-friendly because no chemicals or toxic materials are used. Because your original factory paint is preserved, you can avoid problems with color matching any new paint. Modern vehicle factory paints are more flexible than paint on older vehicles and will not be damaged by paintless dent removal when done by an experienced technician. Dents will not come back at a later date because the metal was properly restored to pre-accident condition. The main benefit of all these is that paintless dent repair is more affordable than collision repair. No parts, no paint, no primers or sealers and less time all mean that you get a more affordable repair bill at the end. Need professional paintless dent removal? 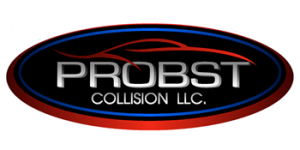 Probst Collision is the top auto body repair shop in New Lenox, IL. We provide collision repair, dent removal, and auto body painting in the local area to customers from New Lenox, Joliet, Mokena, Frankfort, Manhattan and other southwest Chicagoland cities. Contact us or get an online estimate. 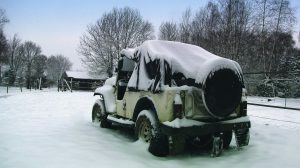 Winter is the hardest time for all of us when it comes to health or vehicles. As the changes in season are predictable, so are the breakdowns of the car. It is always a clever idea to prepare yourself to avoid the winter breakdowns. Nothing spoils a day quicker than a dead car battery. No matter how expensive your ride, it still has a lead-acid battery under the hood. 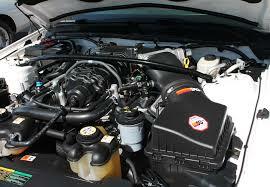 The average lifespan of the car battery is around 4 to 5 years. It’s always good to get them tested. The test is cheap and most of the shops complete the load test on your battery at no cost. It’s also easy to discharge a good battery in normal winter driving; if you’re stuck in slow traffic during a short run on a freezing day, you can run a battery down with excessive use of electrical accessories combined with lower engine speeds. If you are a daily traveler you can give your battery a fighting chance by turning off the accessories for the last few miles before turning it off for the rest of the day. There are vehicles that come with independent ignition coils on the spark plug that are not as prone to cold weather failures. But there are also some cars that face problems during every winter. When the spark plug is worn their electric supply cables become deteriorated, that makes it easy for the injected engines to flood in the cold start. 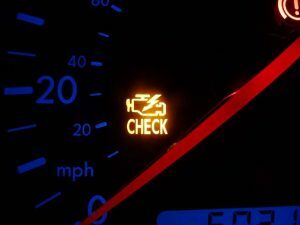 To be safe it is required to check the system in every 100 miles and maintenance is required. If you ever bought silicone spray you can save it for the winters and use it to protect your doors, windows, and locks before they freeze. When the temperature is hot during the winters, you can apply that silicone spray on the door locks and windows. Don’t try to substitute just any lubricating spray for these jobs. If there are any oil compounds in the spray they will deteriorate rubber weather-seals and certain plastics faster. If your car is older than six years that means your tire needs inspections since you can be driving the leaky wheel rims. 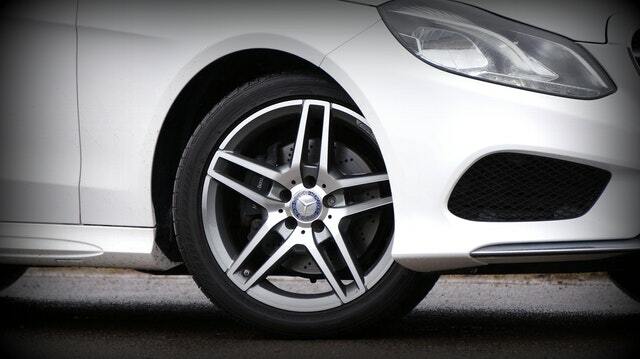 The alloys can create some leaks as the time passes and because of the leaks, the tire rubbers can seal. The minor leaks in the warm weather can be risky in the chilly weather. 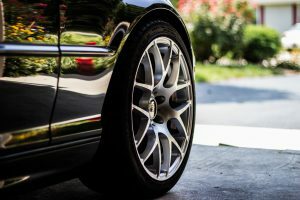 An effortless way to test your wheels is to wipe a sudsy wet wash-mitt on the rim’s edge (where the rubber meets the metal) and look for bubbles caused by escaping air. Applying the coats on the wheel can keep the leak away. Need your car repaired after a winter accident? Probst Collision is the top auto body repair shop in New Lenox, IL. We provide collision repair and dent removal in the local area including Joliet, Mokena, Frankfort, Manhattan, Chicago and the southwest Chicago suburbs. Choosing the right set (or sets) of tires can help create a safer, more comfortable ride in a variety of weather and driving conditions. Which tires best match my driving conditions? It is important to analyze your driving conditions and then pick the tires that best suit them. Do you drive your vehicle in dry weather? Or in rain and snow? Do you drive your truck only on highways, or do you also go off-roading? These tips and other similar information about specific driving conditions can help you choose the right tires for your needs.